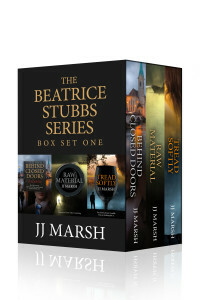 I’ve been a fan of Beatrice Stubbs, the female sleuth of murder mystery novels by JJ Marsh, for a long while now. When the latest book, Human Rites, (number 5 in the series) came out before Christmas, I again consumed the novel within a week. 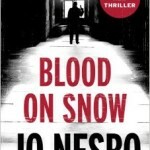 I’ve written several reviews of the novels in the series here (see below), but I was curious about the author behind these often dark, but not too violent, crime thrillers. I decided it was time to find out more about JJ Marsh and asked if she’d be willing to answer a few pertinent questions for my blog. And she said yes! What’s your favourite place and/or time to write? Do you need complete silence or can you write even if the world around you is falling apart? Or perhaps you have a writing soundtrack you listen to? I’m a Martini writer – anytime, anyplace, anywhere. Most of Behind Closed Doors was plotted in hospital waiting rooms. My study is silent, apart from the sounds of snoring pugs, and overlooks a surprisingly cheerful Swiss graveyard. Writing in solitude is preferable as I act out a lot of my dialogue/violence for authenticity. Music is intrusive when I’m actually getting words on paper, so my musician husband composes in the cellar while I write in the attic. That way his sounds don’t influence my stories and he can concentrate on his keyboard without the sight of me attempting to stab myself. How long does it take you to write a novel? Tell us a little about the process. Research – on average, six months. Plotting – another month or two. First draft – three months. Redrafting – four to six months. But all these phases overlap and interact and work in tandem, so I can now create something rough yet ready to share with the Triskele team in about a year. Then the fun starts – editing. Authors know strange little details about their characters. Can you tell us something no one else knows about the main protagonist of your novels, Beatrice Stubbs? What about the other main characters in your books, do they have secrets you could share with us? That is the most interesting question I’ve ever been asked and the toughest to answer. You’re right, there’s so much more to these characters than ever makes the page. I’ll have to dissemble as I don’t know how much of the iceberg I’ll need to reveal in the final book. What I will say is that Beatrice is an emotional hedgehog, fighting an inner pigdog, with the appetites of a truffle hog, and dependent on sheepdogs. There is one detail about Adrian I can spill. As well as being a wine merchant, gay chorister and gourmet cook, he has a private passion for Welsh male voices reading poetry, especially Richard Burton and Anthony Hopkins. 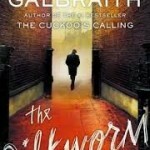 Which one of your books was the quickest to write? And how long did it take? Tread Softly and Human Rites (Books 3 and 5) slipped onto the page like shucked oysters. Neither novel took more than eighteen months. As I progress through the series, the characters have become so real to me, I sometimes wonder who’s in charge. Those two books also include some of the most popular minor characters and vivid locations. 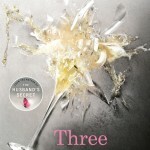 All the research into Spanish wines for Tread Softly was probably the most fun I’ve ever had researching a novel. 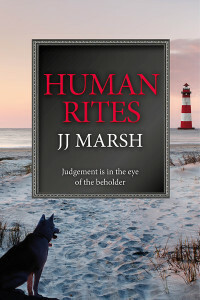 Human Rites includes my first attempt at writing children and animals, which I approached with trepidation, but in fact the hardest thing about that one was finding a title. How many more books in the Beatrice Stubbs series are you planning to publish, and when can we expect the next one? One more. I will publish as-yet-untitled in November 2016 and it will be Beatrice’s swansong. There’s no question of killing her off as I may want to bring her back someday. She is going to retire and grow courgettes while I explore other genres. Let’s put it this way, I will always love her, but we’re on a break. So there you have it, ladies and gentlemen. I am most saddened that it’s going to be the end of the road (for now!) for Beatrice Stubbs, but pleased that there’s going to be one more book. Of course, I cannot wait to see what JJ Marsh will serve up next! She is a founder member of Triskele Books, co-editor of The Woolf Quarterly, a regular columnist for Words with JAM and a reviewer for Bookmuse. 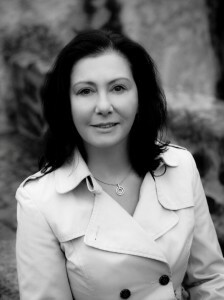 Originally from Wales, she now lives in Switzerland with her husband and dogs. In an attic overlooking a cemetery, she writes crime. 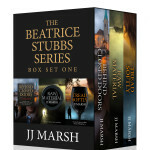 You can find out more about JJ Marsh on her website and about her Beatrice Stubbs books here. JJ Marsh is also on Twitter. Great questions for the writer!